Since we have had a decent amount of rain this summer, we have been checking out trails with waterfalls. 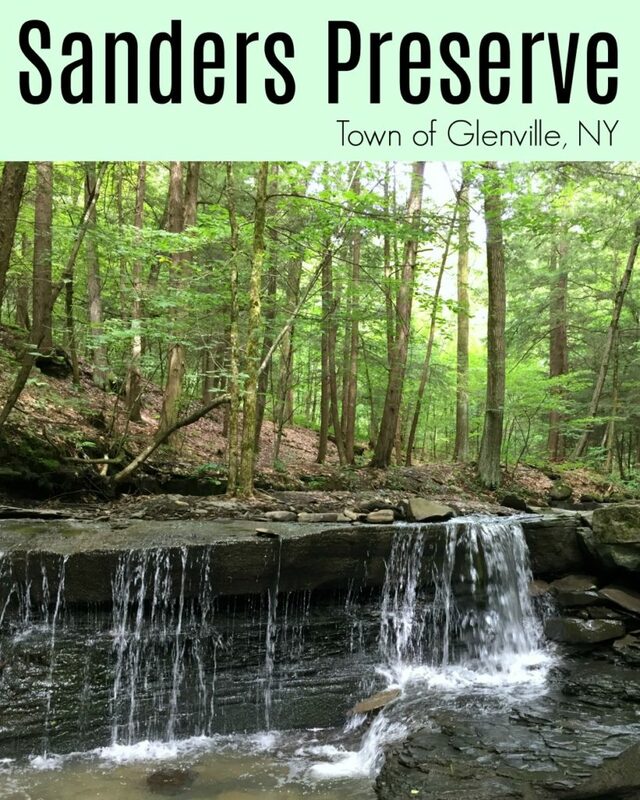 On my search for trails, I came across the Sanders Preserve, which didn’t look like too long of a hike, plus we could explore the waterfalls. The preserve was easy to find, and Google Maps took us right to the trailhead. There was no one else there when we arrived or left on a Saturday morning, and there is plenty of parking in the gravel lot. We headed off from the trail head. We saw some neat Indian Pipe plants along the way. I was a little distracted by the constant sound of shots being fired during our 1.25 hours at the preserve, so I can only guess there is a firing range nearby. It did detract from the overall sense of getting out into nature and enjoying a peaceful surrounding. We continued along the trail and turned down a path to the first waterfall. 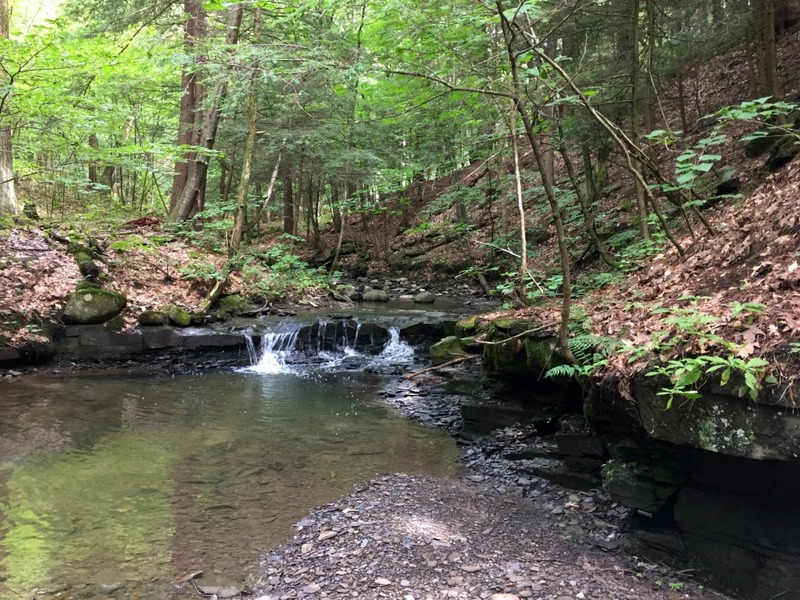 Let me first say that if you are going to visit the preserve, I would probably recommend visiting the falls and ambling along the stream to explore a little, and possibly skipping the rest of the hike. 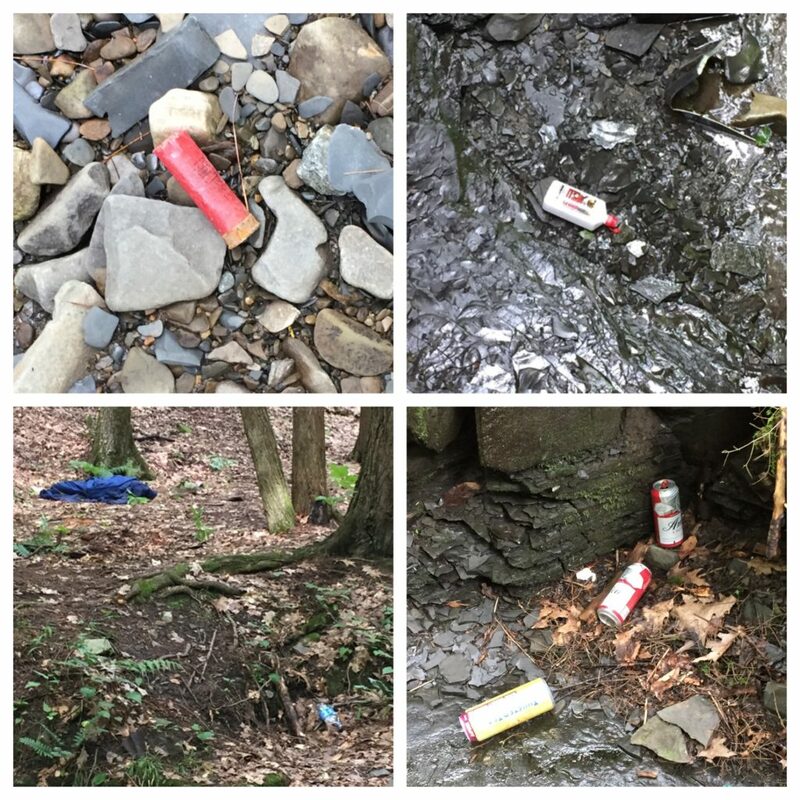 Unfortunately there was a bunch of garbage around the stream, including a large wadded up blanket that looked like someone was in it (fortunately, not the case). It is sad to see people leaving their trash behind at such a beautiful place. That being said, the falls are really pretty, and there are several different falls. We visited in late July, and the summer has been rainy, and were pleased to see there was plenty of water. 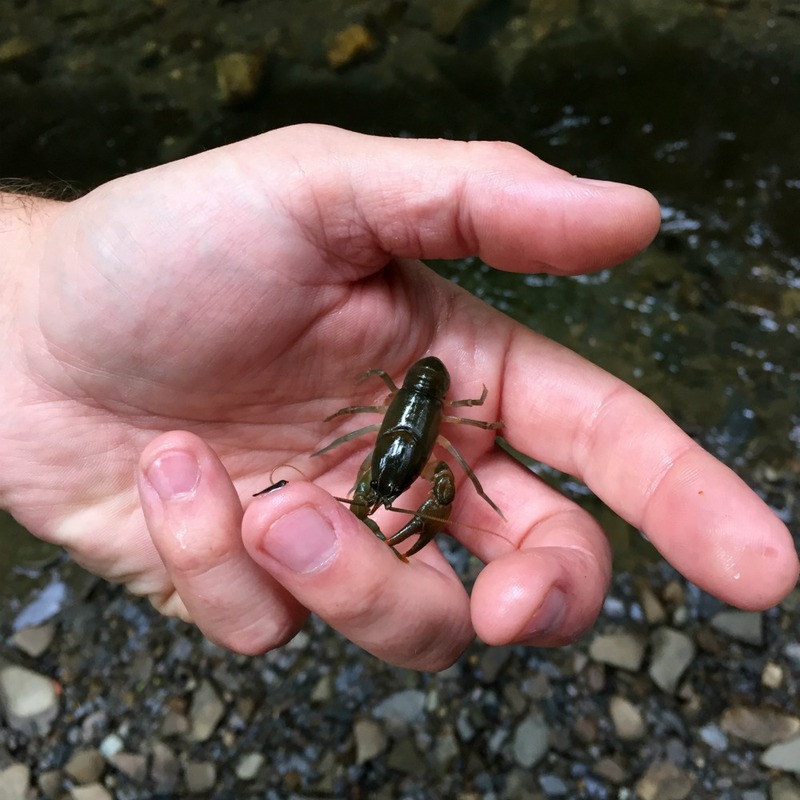 We saw a bunch of crayfish and hung out flipping rocks and walking along the stream for a little bit. At one point, there is a larger drop off with a lot of water flowing over it, and so we returned to the trail (as it was too high to climb down safely). The wide portion of the trail meanders for a bit, and then it goes a bit more into the woods. Here’s where I wish we had skipped this part of the trail. The trail quickly became overgrown, and then really muddy. 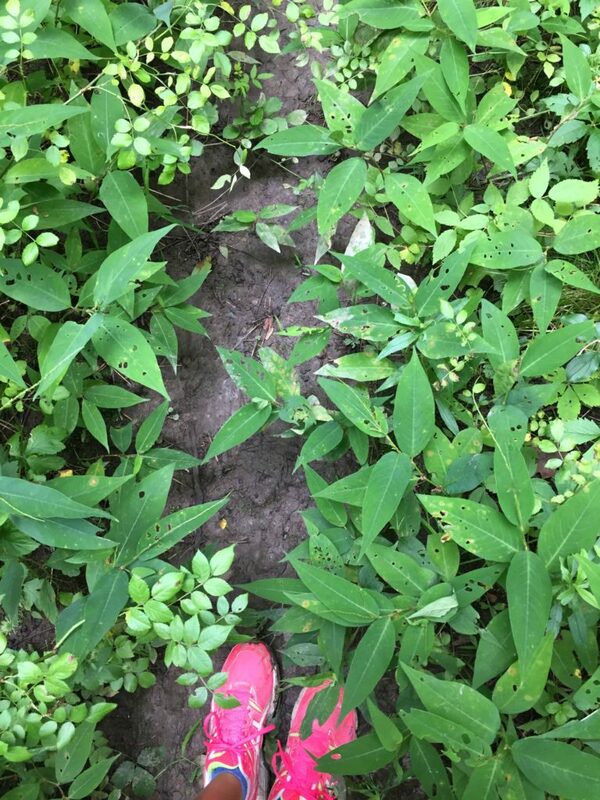 First it was more of a nuisance of thorny plants scraping up our legs, and then the trail kept getting wetter – until there was just a lot of mud – ankle deep mud. 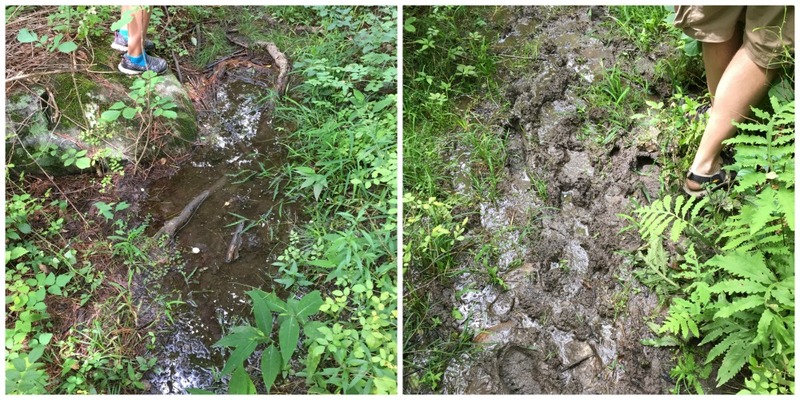 It was tough to get around the mud because the trail was so grown in, so you couldn’t go off trail to avoid getting your shoes in the mud. By the time we made it back to the trailhead, the kids had gone ankle-deep in mud and we were all a mess. While I figured it might be muddy, I did not think it would be this muddy. I do think the trail could be a little better maintained since not only did we leave muddy, but covered in scratches from brambles. 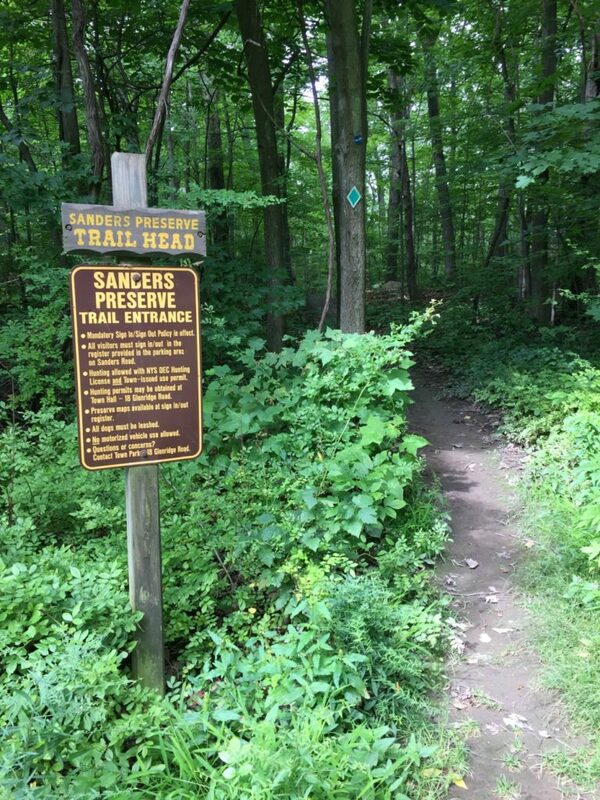 If you do attempt the trail loop at the Sanders Preserve, I highly recommend using a map, and it would probably be better in the spring or fall so that there is less brush to deal with, but be careful if it has been rainy because it was so muddy. 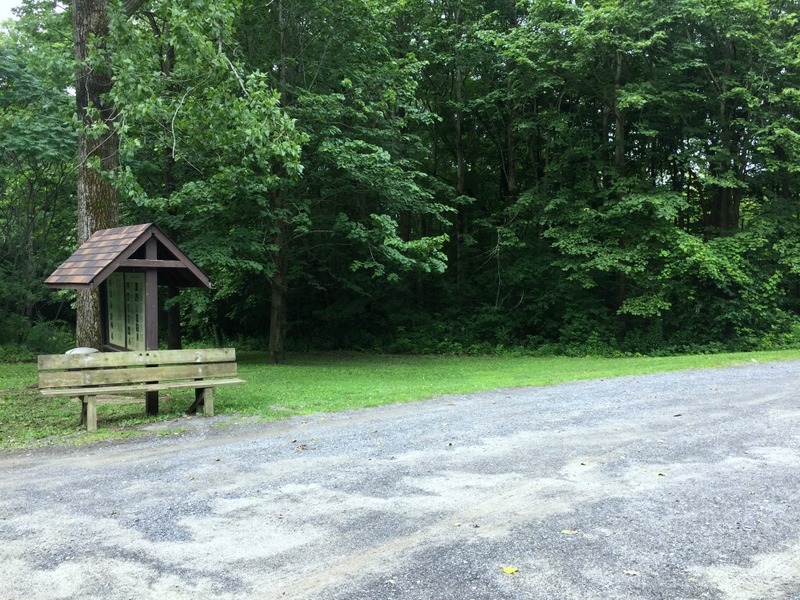 Check out the Glenville Town Parks page which includes a PDF map of the preserve. Oh that does look so beautiful! I love places like that to explore! It really is too bad that people leave their trash behind…. I am super curious how close this is to us in NH. I will have to try to get there to check it out. 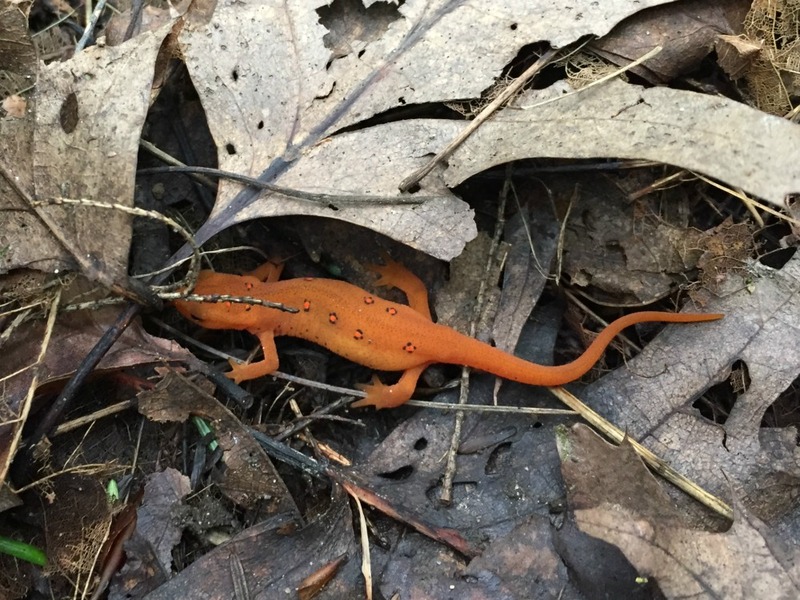 We love nature adventures like this one, glad you enjoyed it and shared a new place for us to get on a road trip to! Wow, those are some colorful reptiles (lizards?)! Didn’t realize they came in that color here in the U.S.! 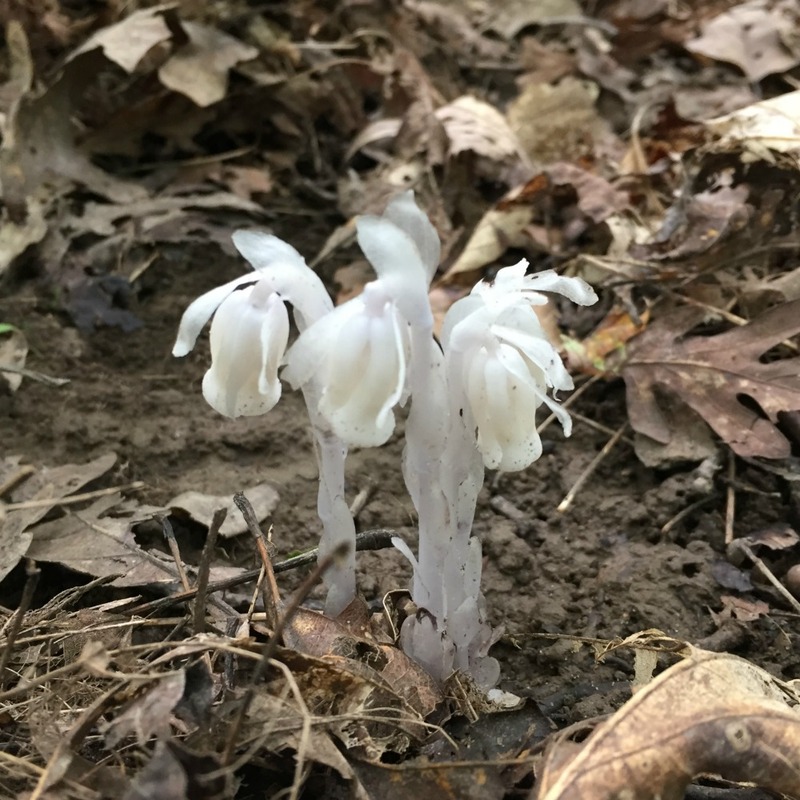 So pretty and I love the Indian pipe plants. This place reminds me of the woods behind our house, we used to explore. I have never been to this area of New York before but it seems like such a fun adventure! My son would have loved this when he was younger. We always appreciated the great outdoors. I visited Glenville NY many years ago and I remember it was so beautiful. This place looks so scenic and peaceful. I know my kids would love to explore this place. This reminds me of a place down the street. We love it! There is something about nature that brings our family together and gives us some special time that doesn’t include a screen. What a gorgeous hike and waterfall photos!! 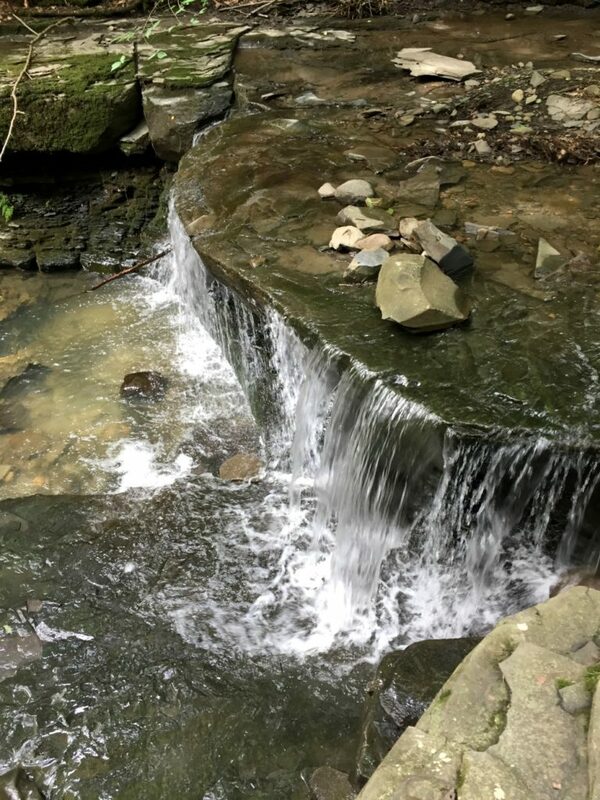 There is a waterfall hiking trail near me that I want to do now!! This trail is beautiful. I haven’t been hiking since I was little. I’m really missing seeing pretty rivers, trees, and being in nature. We just don’t have any trails around here. The few that they do have, I’d be scared to walk on it due to rattlesnakes or water moccasins. Seems to be a magical place! I love the nature, too. And I love the silence and the smell of the forest! It looks so beautiful. What a shame that people have left their trash behind. 🙁 It makes me so sad. 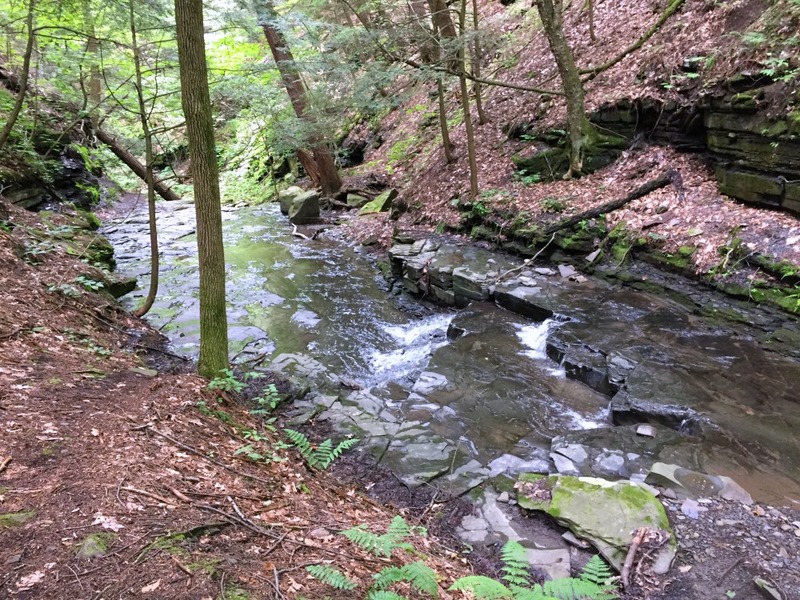 Wow, I didn’t know that NY had some beautiful hiking spots. I guess when you get out of the city it’s like this but you wouldn’t think so. It’s sad to see all of the litter. People are so disrespectful to nature. We usually pick up the trash and take it back out with us if we see any and have a bag. Wow, this looks like such a lovely place to hike. I love going hiking and doing outdoorsy things.